I know winter is over, but I am still interested in knits. I am having a minor obsession with skeletal patterns. This dress above is so dragon priestess. Now I will think of long reptilian tails whenever I see a train on a dress. 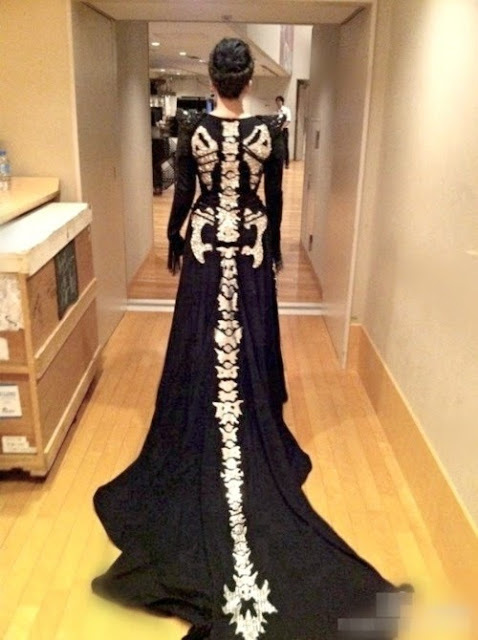 The skulls rolling their eyes are what drew me to this dress. 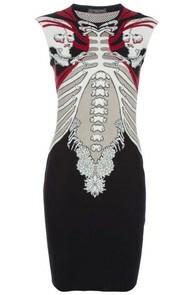 I like that it is not the typical rib-cage print dress. I found this nifty fish skeleton. 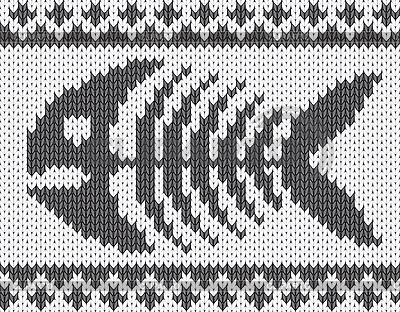 If I didn't have so many half finished projects I would make a hat with this pattern on it.